Sale - Was £42....now £24! Very limited stocks. Special dinner occasions call for classy and stylish wine glasses and this set of 6 glasses will not disappoint! 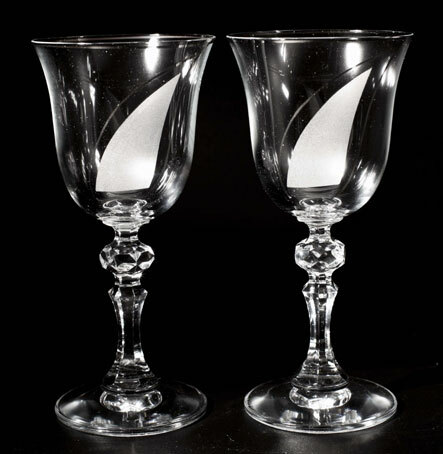 Serve that perfect vintage with your meal in a crystal-styled hand blown wine glass. Each glass features a solid base, an opulent stem and a bowl with a distinctive striped design. Elegant and sophisticated, this gift pack is also perfect to give as a present to that special someone. Each is 16.5cm and a 200ml capacity.